C4 is in fact the fourth carrier that we have ever designed, hence the name “SBEF-C4”. Before the launch of C4, SBEF has already designed several carriers, but they were only represented on drawings or samples due to the unsatisfactory test results of mass transfer theory, specific surface area or biofilm clogging. C4 is the first product that presents an excellent performance in all aspects. Therefore, while being the first carrier officially launched by SBEF, C4 is in fact the fourth carrier that we have ever designed, hence the name “SBEF-C4”. When the reaction tank is aerated, the aeration will first facilitate water flow and the water flow will also generate a certain shear stress on the surface of the carriers. The shear stress generated by the water flow will affect not only the attaching speed of the microorganisms on the surface of the carriers, but also the final thickness of mature biofilm. A thicker biofilm is easier to peel off entirely when the water flow is stronger. 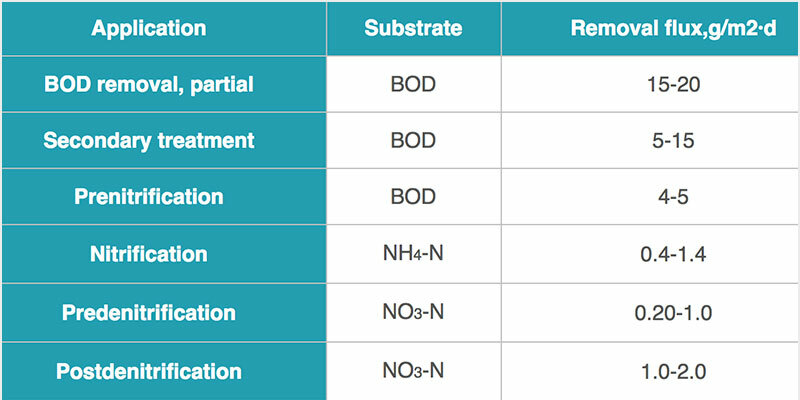 The surface of the SBEF-C4 carrier has fin structures of various lengths, thereby resulting in various areas with different shear stresses on the surface. The outermost area of the carrier is subjected to the largest shear stress of the water flow, and is most prone to friction and collision with other carriers. Therefore, the biofilm in this area is the thinnest and most easily to peel off, and it also has the fastest renewal rate. However, the substrate and dissolved oxygen levels in this area are also highest, which means that the most dominant species in this area may be microorganisms with high substrate demand and strong activity. Being still affected by the water-flow shear stress but less prone to friction and collision with other carriers, the middle area of the carrier has a slightly thicker biofilm than that in the outermost area. The bottom area of the carrier has the smallest water-flow shear stress, and thus microorganisms tend to start attaching and forming the biofilm in this area in the early stage of planting. When the biofilm matures, this area may form an anaerobic zone along with the thickening of the biofilm, and there may be some microorganisms that have low substrate demand and grow slowly. SBEF-C4 carrier is self-developed and patented by SBEF and is exclusively used for MBBR. 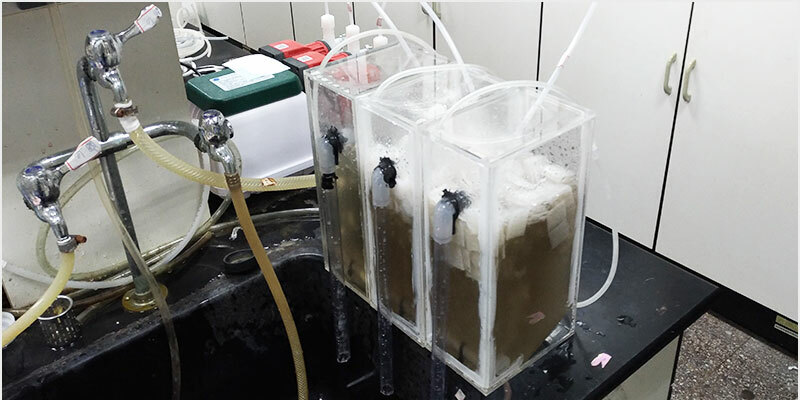 Made of HDPE material that has an excellent chemical resistance and a long lifespan, SBEF-C4 is particularly suitable for organic wastewater biological treatment, ammonia-nitrogen nitrification, and denitrification. 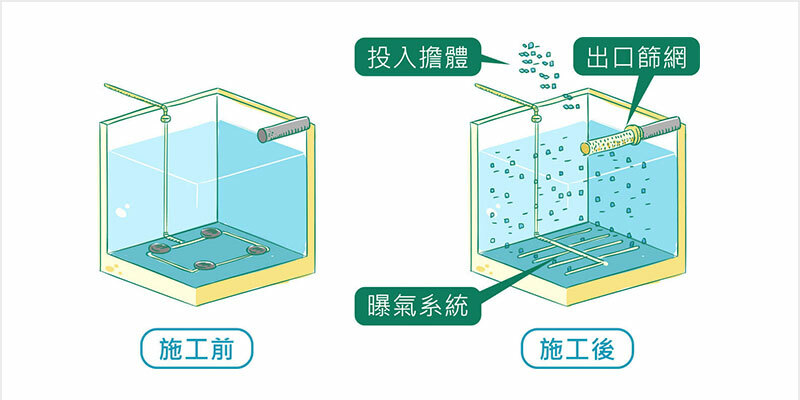 SBEF currently owns two invention patents for MBBR, one is for MBBR carriers, and the other one is for the MBBR application in recirculating aquaculture.Welcome to cooperate with us. © SBEF. All Rights Reserved.